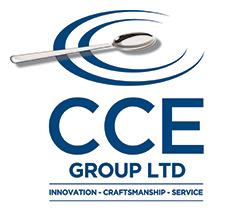 CCE Group Ltd specialise in the design, fabrication and installation of bespoke commercial kitchens & bars for the hospitality industry. Our premium partner status with major catering equipment brands means we can supply and fit everything in a commercial kitchen right down to the walls and floors. CCE create kitchens for the modern chef, selecting equipment to suit your menu, maximising the use of space and creating the optimum working environment for a fast and effective flow of service. We work with clients every step of the way, from the first design meeting, through 3D visualisation, bespoke fabrication, installation and after sales service and pride ourselves on our helpful, consultative approach to commercial kitchen design.